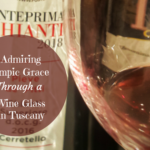 When I was thinking of an Italian theme for me to host this November in the #ItalianFWT group, I knew I wanted to focus on Calabria and the Gaglioppo grape. It is a very interesting region and an area that is often overlooked for other areas with higher visibility in Italy. Now, most of you probably think I mostly travel through Puglia lately, but I really travelled through Calabria before that. I started exploring Calabria already in early 2000, though not for wine. Having done my PhD on nationalist history in the 19th century and especially on the image of Garibaldi in European politics, I always had the idea that I at some point would explore the Aspromonte mountain. I still have this thought even though it is less ‘strong’ today. LOL Someday I surely will make it happen…. Anyway, in 2014 when I went down to visit my friend Savina in Lamezia Terme she introduced me to some people in Strongoli and in the Cirò among which one wine producer. This got me fascinated about the area and I started reading up on the Gaglioppo grape, Cirò wine, and Calabria in general to learn more. The following summer, I just packed my bag and went down to Calabria for some beach time and winery visits. Some of the people I had met the year before were so very nice and took me around to different wine producers. In 2016, I went down again and travelled through Calabria even more from Cirò to Cosenza, and down to Bianco in the far south. This way my knowledge about and passion for Gaglioppo and Calabria wines, in general, continued to develop. This was also a period when the smaller, more artisanal, wine producers in Cirò started getting more and more in the limelight. Indeed, it was and has been exciting to follow their development and growth during the last few years. 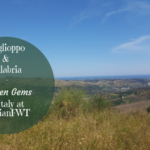 The theme this month, November 2018, will be Gaglioppo & Calabria – Hidden Gems in Italy in the Italian Food, Wine, and Travel (#ItalianFWT) group. As briefly mentioned above, I will be focusing on the recent development in the Ciró Doc and the smaller producers. On Saturday, November 3rd you can join us on Twitter at 11amEDT / 17.00 CEST to learn more about food, wine, and travel in relation to Calabria and its Gaglioppo wines. 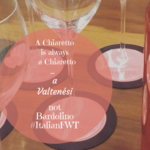 Just type in the hashtag #ItalianFWT in the search field and click Enter, thereafter, you click Latest which will show you all the live tweets. Cirò Marina is a small town of about 14,000 inhabitants situated a bit north of Crotone in the northeastern part of Calabria, just by the Ionian sea. It is a coastal town that dates to the period of the Ancient Greek settlers who arrived in Calabria in the VII century B.C. Today the town is better known as the Città del Vino (the City of Wine). A map of the main localities around Cirò. 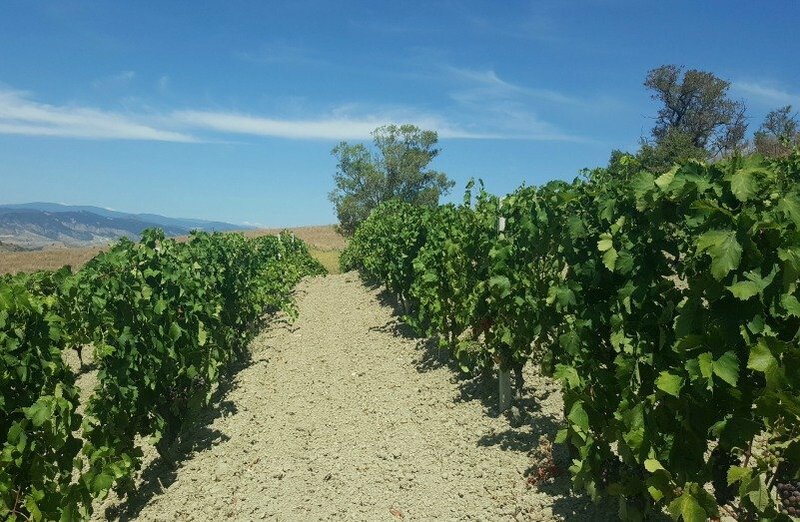 This is an area where viticulture is a tradition that goes way back in history to the era of the Magna Grecia, just as in a large part of Calabria. 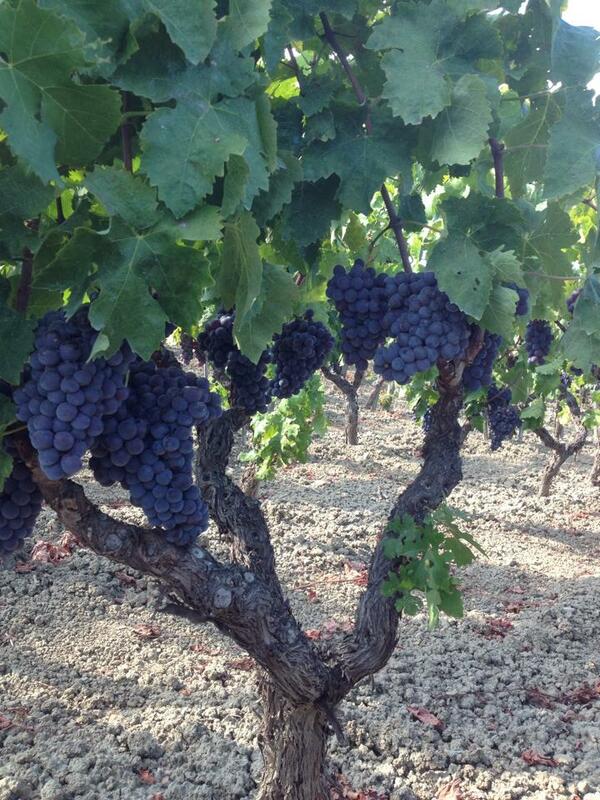 The ancient Greeks highly valorized the very fertile soil for viticulture that they discovered in Calabria. What strikes you when you visit this area, is that almost every family seems to own at least a small vineyard, if not several vineyard lots spread out around the surrounding countryside. 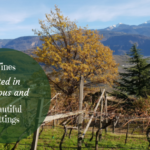 Many of the more recently emerging small organic winemakers that I have written a lot about from Calabria have taken over the management of the wineries from their fathers or grandfathers. In that way, they are continuing a tradition inherited from generations back. 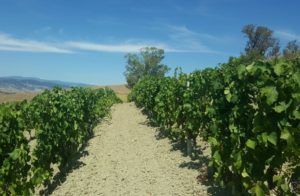 Often they have decided to turn the wine production from bulk wine to bottled wine while staying true to the traditional techniques of viticulture. Getting down to talking more about Cirò Doc and its consortium, it has undergone some changes during the last few years. 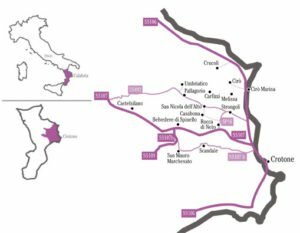 Calabria is, as mentioned above, a region with a long and important viticultural history. However, after WWII when people started moving away from the countryside in search of work in the cities, a lot of vineyards were sold and lost in favour of other crops. Only more recently, research has been made in order to recuperate and identify old native grape varieties. Calabria has also had a reputation during the post-war period for being focused more on quantity than quality when it comes to wine production. However, things have started to change also in this southern region during the last few years. If we look at Cirò specifically, the person who stood in the forefront for this is Francesco Maria De Franco from ‘Avita winery. 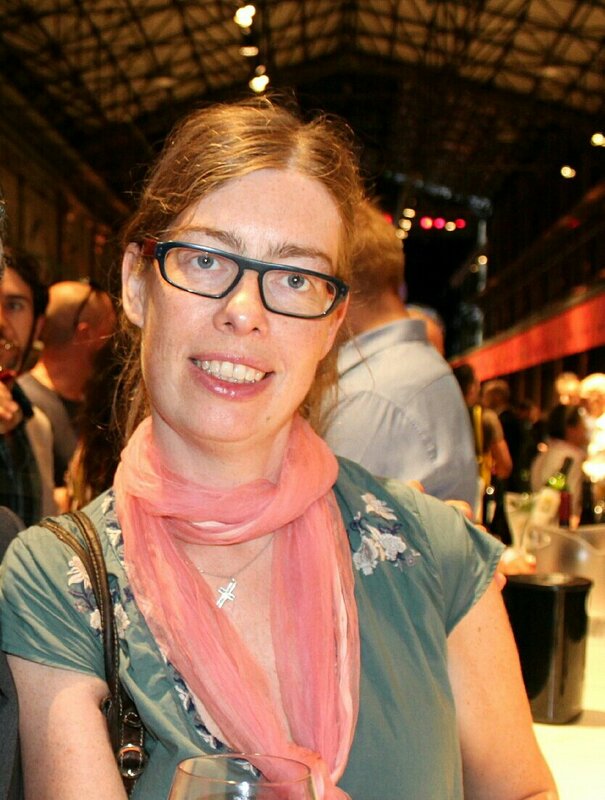 During the last 5-6 years, the smaller winemakers in Cirò have been working together as a team in favour of a change. This small team of winemakers and friends have been referred to as the Cirò Boys to play on the Barolo Boys who somewhat revolutionized winemaking in Piemonte in the 1980s. Rather than a revolution, it is probably more that they decided to help each other and collaborate in order to move forward. The small group of vignaioli in Cirò consists mainly of Francesco Maria De Franco from ‘Avita, Cataldo Calabretta, Francesco and Vincenzo Scilanga from Cote di Franze, Sergio Arcuri, and Mariangela Parrilla from Tenuta del Conte. 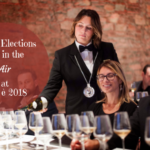 There are some other smaller wineries that probably are part of this group too such as Vini dell’Aquila, Azienda Vitivinicola Scala, Ducropio, etc. The last years have thus shown that collaboration is the key to gain results. The ‘vignaioli‘ above also believe in producing Gaglioppo as a monovarietal wine in order to give an expression to its unique varietal characteristics. The change of the regulation came in 2010 in a period when one already in other parts of Italy had started to move away from a more ‘international’ style. However, since 2010 it is allowed according to the Cirò Doc regulation to use up to 10% of international grapes. The vignaioli in Cirò focuses on monovarietal Gaglioppo wines or blends with local grapes. They are of the belief that it is better to give the Gaglioppo more time to mature in order to smoothen out its tannins. I have talked about the Gaglioppo grape in several previous articles, as it is indeed the grape variety with a big G in Calabria. (See for example The Hidden Treasures of Calabria, Sergio Arcuri – A Wine Artisan in Calabria, Viticulture – A Family Tradition at Cote di Franze in Calabria) The Gaglioppo has a long history, some scholars consider a wine that was given to the winners of the Olympic Games in Ancient Greece to have been made with Gaglioppo. The wine was called Krimisa that stem from Cremissa, which in turn is the old name for Cirò. Ian D’Agata stresses that DNA research has shown that Gaglioppo is a crossing between Mantonico and Sangiovese. This is in line with what has been written lately about the origin of the Sangiovese also. It is a grape that has a need for sun and heat in order to ripen, therefore it grows well in the quite dry and harsh soil of Calabria. The Gaglioppo grape is not very resistant to diseases, furthermore, it has a thin skin and is thus very sensitive to rain. When a Gaglioppo is done right it can be an amazing and elegant red wine with notes of red berries, scrub herbs, i.e. have a herby undertone, be mineral and savoury. Cataldo Calabretta told me that a red Cirò DOC wine (100% Gaglioppo) in general has an elegant and complex nose and austere tannins. I agree with him on this. 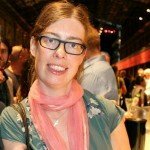 As I have tasted quite a few Cirò Doc wines and it is indeed difficult for me to single out one producer and one wine here, I decided to write a more general article about Gaglioppo and Cirò Doc. Indeed, I have my flat filled with Gaglioppo wines LOL from producers such as ‘Avita, Sergio Arcuri, Cote di Franze, Tenuta del Conte, Vini Dell’Aquila, and Cataldo Calabretta. I have visited all of the above-mentioned wineries and several others, I have tasted many of the Cirò Doc producers, such as Ippolito 1845, Ceraudo, Ducropio winery, Librandi, etc. at Vinitaly as well as at wine festivals in Carfizzi and Melissa directly in Calabria. Your article gives a great foundation for learning about Calabria in general, and Ciro in particular. I enjoyed reading about the history of the region and the evolution of winemaking as well. It’s nice to see the younger generations are taking up their families’ vineyards and honoring local varieties like Gaglioppo. Thanks for hosting this month and providing the group with such a rich topic for exploration! Thanks Lauren, I am happy that you enjoyed the article. 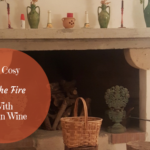 🙂 There is so much to tell about Calabria and such fab wines to taste…and most people don’t even know about them. Thank you so much Katarina for the opportunity to learn more about this grape, this wine region and Calabria. I enjoyed my virtual journey very much. Such a thorough article with great information on the region. It sounds like things are starting to turn around for winemaking in Calabria. Now they just need the attention of the market. Thanks Jen, yeahh…things are starting to turn around in Calabria…the problem I think sometimes is consistency and for the smaller producers to not get lost in the slow pace they often have and in that way ruin contacts for themselves.